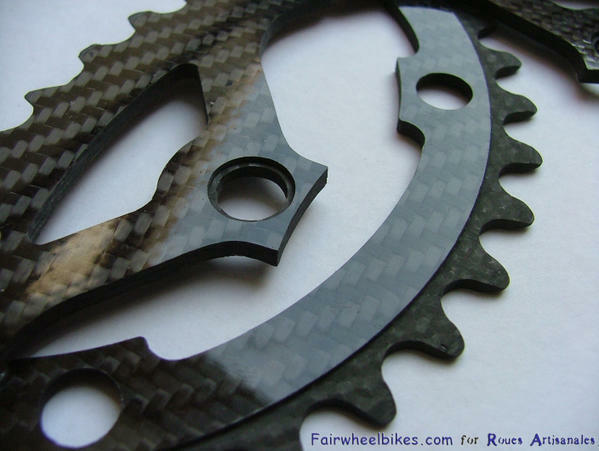 Fibre lyte company specialized in motorcycle parts, model parts, industrial components, housings for electronic or race cars parts also do full carbon chainrings for bikes. 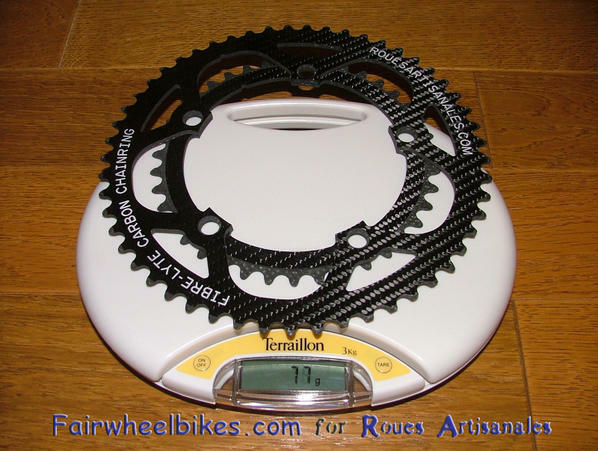 Originally, managing director Martin Hansell started making chainrings from carbon fibre as he and his brother were time trial riders. They even realized a carbon monocoque frame by hand 12 years ago. The chainrings worked so well that he put them on his tandem as well. They were aimed at time trial riders for single ring use, but when Stephen Walton joined the company, he was very interested in bike parts and continued the development in order to make them double ring compatibles. Fibre lyte is amongst the rare brands always innovating, the kind of high-end brand that will allow everyday bikes, training bikes to use carbon chainrings (and why not carbon cassettes) in some years. 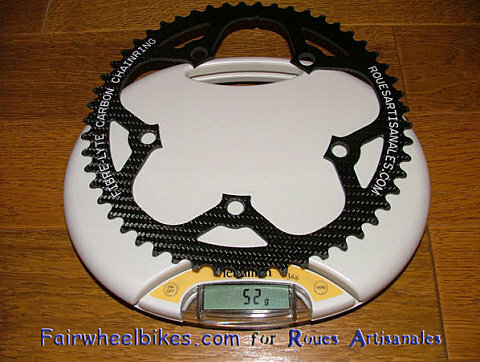 Thanks to Fairwheelbikes, Roues Artisanales could get a couple of these chainrings which would love to be tested out. 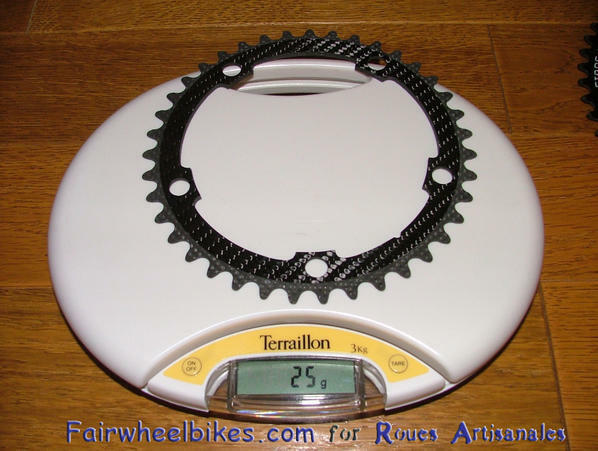 This kind of chainring make the bike looking more agressive but allow as well to save 60gr (weight divided in 2) over classic Record or Dura-Ace chainrings. They are available with differents carbon weaves that you can see on this url. 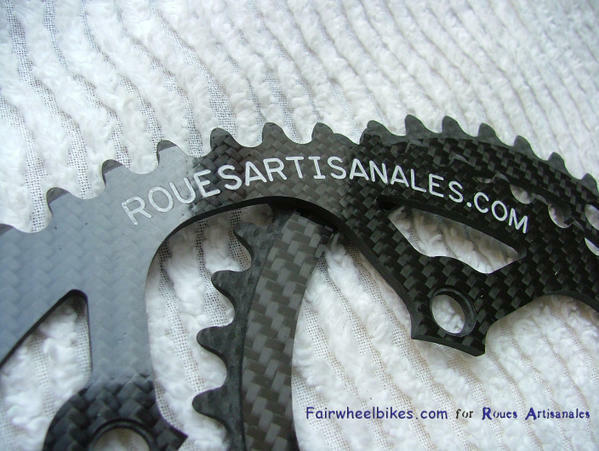 Previous Roues Artisanales article related to the same subject: ICI.